A MOTHER is using a photo of the exact moment her daughter's leg broke as a dire warning to others about the dangers of a seemingly harmless playground ritual. 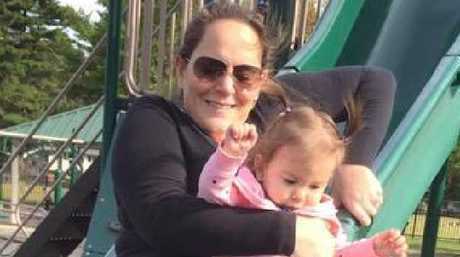 New Yorker Heather Clare was at the park with her then 12-month-old twins and was taking them down a plastic slide when the incident occurred, Fox News reports. 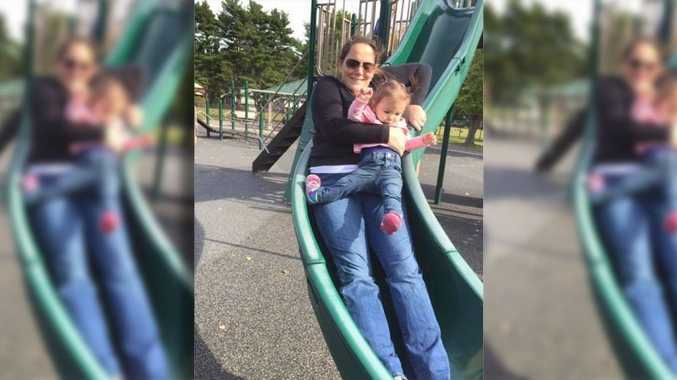 In a graphic photo captured by her husband, a smiling Ms Clare is seen holding daughter Meadow on her lap as they make their way down a green plastic slide. But at the centre of the photo, you can see Meadow's foot is bent in the opposite direction after it became wedged between her mother's leg and the slide. Ms Clare said they wound up in an awkward leaning position after she realised what was happening and had tried to stop their sliding. "This picture is the moment her leg was breaking," Ms Clare posted on social media. "She's still smiling … because it was happening at this exact moment. When we went to the ER, the super empathetic doctor lectured me on how common the injury is. I had no idea. I thought everyone took their kids down the slide." Ms Clare told PEOPLE that Meadow suffered a fractured tibia and fibula in her right leg, and had to spend four weeks in a pink cast. She said the accident occurred just days after Meadow had taken her first steps. "It was terrible, especially feeling like I put her in that position," the mother told PEOPLE. Ms Clare said there were initial concerns over how the injury would heal, and if one of Meadow's legs would be shorter than the other. Fortunately, the toddler has since made a full recovery. The doctor said it was a common playground injury. "I strongly feel every playground should have a warning sign, but since I've never seen one (and we go to A LOT of playgrounds), I share this picture every year in hopes that the pain Meadow felt and the guilt that I still feel will save other babies and parents from the same," Ms Clare posted. "Don't ever go down a slide with a baby on your lap. 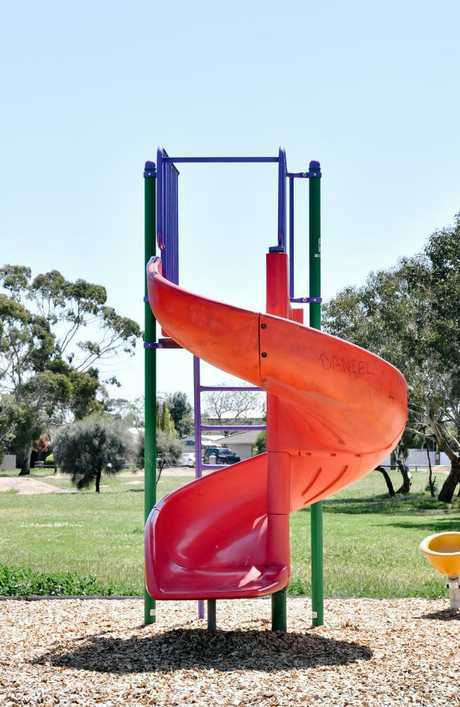 There is no SAFE way to go down a slide with your little." The post had been shared more than 90,000 times and received over 16,000 comments at the time of writing. This article originally appeared in the Fox News and was republished with permission.